Materials such as wood, plywood, paint, foam and fabric can emit harmful vapors into a case environment, subjecting the objects to damage. Acid migration from wood is especially harmful to textiles and paper, causing yellowing and embrittlement. Corrosive volatiles, released by certain glues, paints, fabrics and urea formaldehyde in plywood, cause metals to corrode. If your exhibit cases are made of wood, painted or unpainted, place Mylar under items on display. Mylar creates a barrier from the acids in the wood. Make sure there is filtered air flow through these cases, too, in order to avoid a build up of acidic fumes. When constructing new exhibits, consider constructing cases out of inert materials, such as Plexiglas and metal. 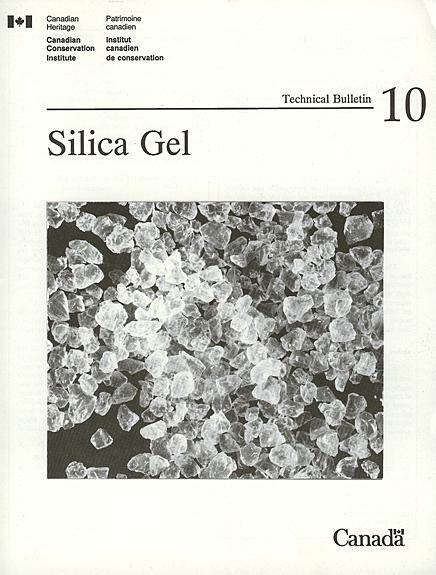 Provides information on the use of silica gel, how it controls RH, and how it is conditioned for use and maintained. Specific topics dealt with include: the problems of display case leakage, how silica gel fulfills the requirements of a humidity buffering agent, and the maintenance of a silica gel buffered display case. 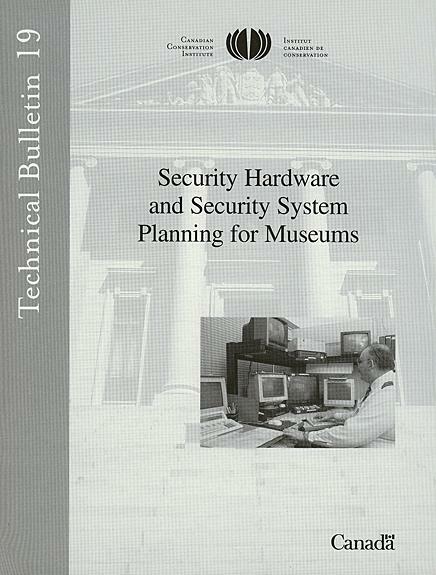 Helps cultural institutions with their preparations against threats of theft and vandalism. Numerous, inexpensive methods of improving security and various types of currently available sensors and computerized alarm systems are illustrated and described. Several kinds of sensors and their placement within a standardized level of protection proposed for each area in a cultural facility are also recommended. 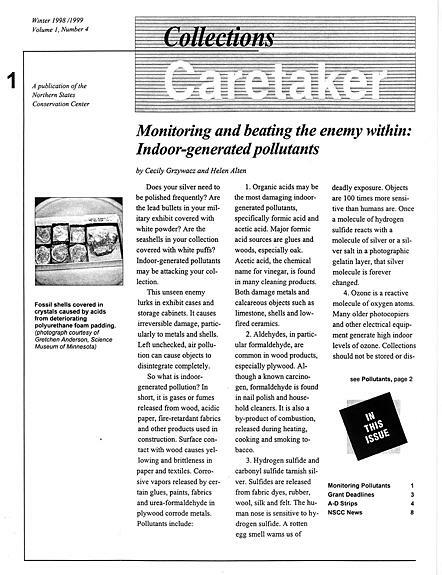 1.12 Air Pollution Control Within Museum Display Cases by Active and Passive Sorbent Strategies. 1.22 Moisture Buffering Capability of Museum Storage Cases.